After months of plummeting oil prices, nightmares about idled drilling rigs have become reality, hitting Texas the hardest. See how many rigs the state has lost in recent months. Want a concrete sign of the oil industry’s troubles? Just look to the horizons of Texas’ drilling country, where rigs are laying down like willows after a windstorm. Due to a mix of geopolitics and supply and demand, the per-barrel price of West Texas crude has plummeted to around $50, less than half what it was worth last June. After months of lag time, nightmares about idled rigs have become reality, and they are hitting Texas the hardest. 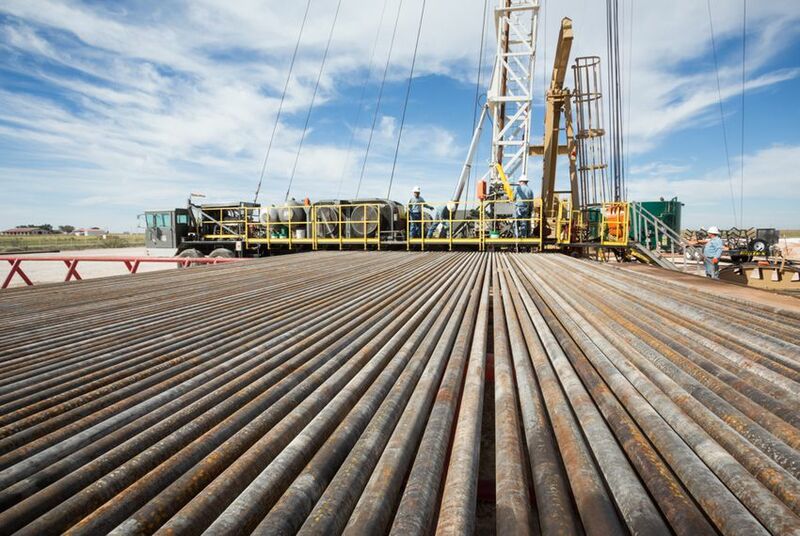 Texas rigs began to tumble in November, a month after the Railroad Commission began issuing fewer drilling permits. As of last Friday, 1,937 rotary drilling rigs were at work across the United States and Canada, according to Baker Hughes, which publishes weekly industry data. That’s down 426 rigs — about 18 percent — from the count on Nov. 21, 2014. The totals include both oil and natural gas rigs, but oil rigs are far more plentiful. Gas rig counts, of course, are tied to natural gas prices, which have stayed low in recent years. In the same time span, Texas lost a whopping 211 of its 906 rigs — more than 23 percent — pushing the state’s count to its lowest in four and a half years. “It’s just because our plays are so big,” Allen Gilmer, CEO of Drillinginfo, an oil and gas research firm, said of the decline’s outsized impact on Texas. Texas is the nation’s oil king. Spurred by technological advances like hydraulic fracturing, Texas is pumping more oil than it has in 30 years, accounting for more than one-third of all U.S. production. The graph below shows how Texas’ losses dwarf states (or provinces, in Alberta’s case) with the next highest rig totals in North America. You do not have iframe support. Rig losses vary across Texas’ long-stretching oil plays. Lower prices have hit West Texas’ Permian Basin — the country’s most productive drilling region — and the Granite Wash, in East Texas, particularly hard. The reason is simple, Gilmer said: Drilling there tends to cost more, even if there’s plenty of oil to tap. The graph below shows how those Texas plays compare to others: the Barnett (North Texas), Eagle Ford (South Texas) and Haynesville (East Texas). Note: The Barnett produces mostly natural gas. Rig counts offer a simple proxy for industry trends, but they no longer reveal exactly how much — or when — production will fall, experts say. Despite the tumble, oil production continues to rise in Texas and elsewhere. That’s partly because the wells drilled today produce far more oil than the conventionally drilled wells of years past (though the output of those wells trails off more rapidly). Operators now drill multiple wells on one site, and the rigs themselves have become more efficient. “I’m not sure that you can point to an industrial process anywhere that has seen the kind of efficiency and improvements that you’ve seen on the drilling side,” Gilmer said. The federal Energy Information Administration expects U.S. operators to pump an average 9.5 million barrels per day in 2016, up from 9.2 million in December 2014. That could keep oil prices, and drilling, low for some time. Several major petroleum and oilfield service companies have already sliced their budgets and announced layoffs. For instance Schlumberger, the world’s biggest oilfield service company, said last month it would cut 9,000 employees — about 7 percent of its total workforce.